This summer Klō has hit the road and done a couple of shows! We spent last weekend at the Berkshire Arts Festival in Great Barrington, MA. It was beautiful weather and we met such wonderful people! A highlight of the weekend was a Klō Enthusiast running over to our booth and expressing her joy over the appearance of her skin after chemotherapy. She was busting with excitement to tell us how much The Klō Method helped her. That is the beauty of doing these shows. It’s our chance to meet the Klō Enthusiasts and hear how our products have helped you! Please come over and say hello if you happen upon us at a show or out in the world. Check out our booth! We are so thrilled with our custom table runner and signs and have Vispronet to thank. We seriously looked all over for affordable and beautiful signage and this place delivered for sure. They even nailed our Klō green! Our next show this summer is Heirloom at Greylock Works in North Adams, MA. If you haven’t already checked this place out, you have to come! 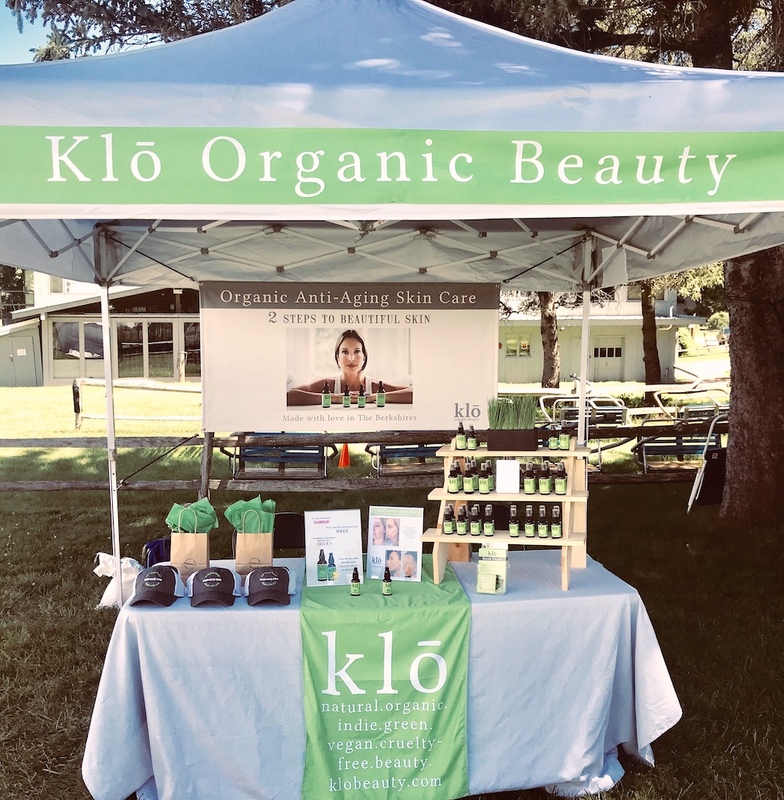 This summer festival features Berkshire artisans and is complemented by a line-up of local food vendors, talented acoustic musicians, and kid-friendly activities. Come on over on Saturday July 28th, 10:30-6pm! Klō will have some good deals for you.